Salma Ansari also wants Muslim women to read the Quran in Arabic and skip the translations. 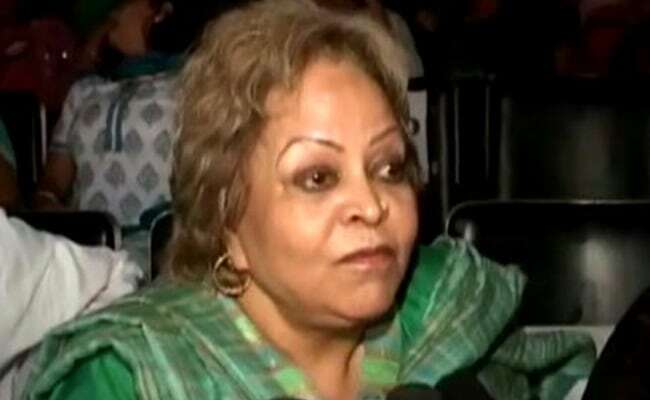 Aligarh: Saying 'talaq' thrice does not amount to divorce, said Salma Ansari, Vice President Hamid Ansari's wife and asked Muslim women to read the Quran instead of relying on clerics. Ms Ansari joins the debate on the practice and the validity of triple talaq, 'nikah halala' and polygamy practices among Muslims. "Triple talaq is not an issue. There can be no 'talaq' just because someone utters talaq, talaq, talaq," Ms Ansari said and suggested that women can look for answers to all their questions in the Quran. "If you've read the Quran, you can find the solution there itself. There is no such rule in Quran. They have just made it up. You must read the Quran in Arabic and not the translations," she added. Recently, top cleric of the Ajmer Sharif Dargah, Syed Zainul Abedin Ali Khan, also said that men should end the practice of triple talaq, which was "against the spirit of Quran". A couple of petitions have been filed in the Supreme Court opposing triple talaq after women complained of being divorced on Facebook, WhatsApp, postcard and more recently through a newspaper advertisement. But the court said instead of looking at individual cases, it would take a call on whether triple talaq or polygamy can be upheld under the right to religion. Chief Justice JS Khehar said that a five-judge Constitution Bench will sit during the court's summer vacation and examine these questions. The Centre, too, sees the practice to be a violation of fundamental rights guaranteed by the Constitution. Union Law Minister Ravi Shankar Prasad said the government wants triple talaq to be abolished. The All India Muslim Personal Law Board, however, maintains that the pleas challenging such practices among Muslims were not maintainable as the issues fell outside the realm of judiciary.